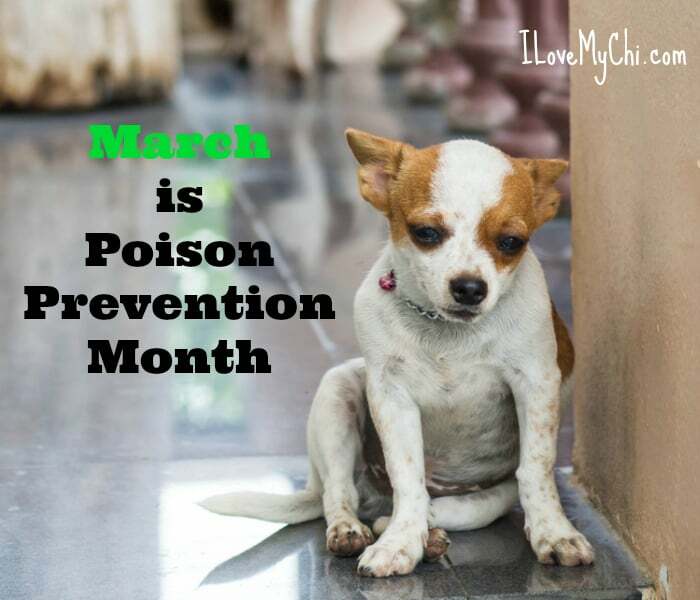 Did you know that March is Poison Prevention Month? There’s also a Poison Prevention Week and I believe even a Poison Prevention Day but since this is such an important topic, we are going big and using Month. 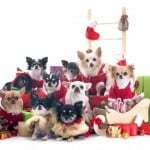 And since this site is about our chihuahuas we calling this Poison Prevention for Pets Month. We want to keep our fur kids safe and there are so many things out there that can hurt them. Some are things we might not even think about. An example is when my neighbor told me she had put poison bait out on the fence posts that separate our yards to kill the roof rats that have invaded our neighborhood. It took all the self control I could muster not to throttle her. I calmly pointed out that it was a bad idea because not only could the birds (that we both love to watch) get into the toxin and die, but that some might fall into my yard and my dogs might eat it and become poisoned. Or one of the contaminated rats or birds could die in my yard and then my dogs might eat the animal. She was mortified when she realized the harm the toxic bait could cause and promptly got rid of them. It was just something she hadn’t thought about. 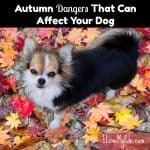 This article will help you to become aware of some of the things to look out for to prevent your precious pups from getting sick or worse from something that could easily been prevented. Many prescription and over the counter meds can be toxic to dogs so it’s just too much to list all of them. Just keep them all out of the reach of your dog and be careful not to drop them. I have heard more than once of a dog who died because he found a pill on the floor and ate it. Again there are too many to mention. For a more thorough list, you can check the Humane Society’s list here. I know you are wondering about that title, huh? Well there are some things we put on our dog, give our dog or inject into our dog that we think will help them but they can hurt them. 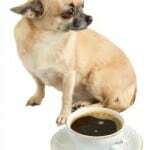 Being that chihuahuas are so small, they are more sensitive to some things than larger dogs. 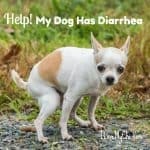 Many flea and tick products can cause issues with dogs too. Think about it, you are putting a long lasting toxin on your dog. But of course no one wants fleas either. There are some other more natural flea control options out there. One we like is Wondercide and you can find them here: Wondercide.com . You can also read more about natural flea control here: Natural Flea Treatments. I know it’s something none of us want to think about but the most loving thing you can do for your pets is to be prepared ahead of time for things like accidental poisonings. Being prepared ahead of time will save you precious minutes that could mean the difference between life and death. Have a pet first aid kit on hand. Keep the phone numbers of your vet and the emergency vet in your area handy. I’d keep them in your phone’s contacts and also put them on paper and leave it in the pet first aid kit. The ASPCA Animal Poison Control Center has a 24 hour hotline that you can call. Be aware that they do charge a fee of $65 to help you. If you want to keep that with your other phone numbers it’s 1-888-426-4435. I can speak of pet poisonings first hand as we lost out beloved beagle Tripp about 9 years ago when he stole some large chocolate candy bars off the counter and ate them. We had no idea as he never acted sick. He just dropped dead the next morning. An autopsy revealed the candy wrappers in his stomach. He was only 2. Have you ever experienced a pet poisoning? I hope not but if you have feel free to share your experience in the comments. Also let me know if there is a common poison that I have forgotten to include on this list. 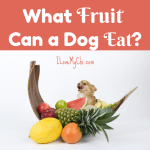 What Fruit Can a Dog Eat? This is a great resource! Bear Cat has had several close calls … once eating a glob of onion dip and another time eating an entire azalea plant. At the time, I had no idea either was toxic. Now I don’t bring anything into the house without checking. And nothing gets left out – even to get up to pick up the phone. All it takes is a few seconds! Thank you for linking up to the showcase! Wow an entire azalea plant? That’s amazing! I am so, so sorry to hear about your beagle. Sharing information like this is so important to help others to hopefully avoid the same tragedies. I am so glad you included information about vaccines and flea/tick products as well. Our beagle had several vaccine reactions (thankfully mild ones) before we finally had to just stop vaccinating her. We only use natural flea/tick products. It takes more work, because it’s just not quite as effective as those poisons (or you have to apply more often), but for me it’s worth it. I’m glad you switched to natural flea products Jan. What do you use? Good to that you stopped the vaccines since your beagle was having a reaction to them before more serious side effects happened. We use flea/tick tags from Only Natural Pet. We also spray the dog yard with Cedarcide. When we’re venturing out of the yard I use spray and wipes from Vermont Pet Naturals. We still get ticks though, those darn things are impossible, so we always check for them too and pick off when needed. About 20 years ago we had a puppy chew on a hydrangea flower at my in-laws. I was pretty sure that hydrangeas are toxic, so I took it away from her. A few hours later on our way home, she started “foaming at the mouth.” We pulled off at the rest area, and I used the pay phone (and phone book) to call an emergency vet. Thankfully, the vet was able to save her. I am sure that she would have died if we hadn’t stopped and taken her to the emergency vet. Oh wow! So glad you were able to save her! I’ll add hydrangeas to the list. It’s good you are such a smart kitty princess Erin to not get into those bad things! Thank you for these great reminders! It’s amazing how many poisons are in our homes when we stop and think about it. It’s important to be careful and informed on what can be harmful to our pets! So true. Writing this was a good reminder for me too! I’m sure glad your neighbor was receptive to hearing about the poison. That is a concern for me where we live, as we have a lot of mice and chipmunks. Yikes Delilah sure sounds like she keeps you on your toes! Great post! It’s easy to forget what we have to watch out for. I learned my lesson about checking ingredients when I went to buy melatonin for my dogs and they were out of my regular brand. I grabbed another brand and luckily I checked the label because it had xylitol in it. 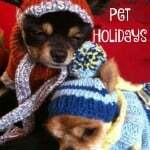 I picked your post to feature on the Pet Blogger Showcase! Thanks for joining us! Thanks so much for picking this post Dawn. I would never think about putting xylitol in a supplement. Yikes! Just wanted you to know I chose this post as one of my featured posts from the last Showcase in today’s post. We just brought our 1.5 year old chi, Taco, home from a two-night stay at the vet because he ate a grape. Our little fellow, who never eats anything off of the floor swooped in and ate a grape that had dropped off my lap before I could react. I initially thought the grape threat was choking until I googled it. We immediately called the vet and brought him in. They induced vomiting and then replenished fluids while running urine, blood and kidney function tests. Thankfully he is back home and the only side-effect is our wallets are a little thinner.